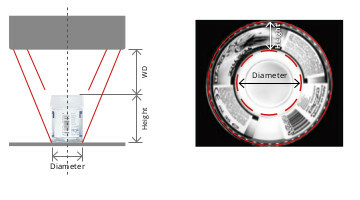 360LIB Suite is a C++ based computer vision software designed to optimize the optical performances of 360° optics setup, as the ones typically used for single camera, lateral inspection purposes. 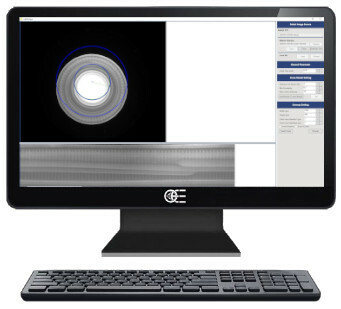 With the use of both a .dll library and dedicated stand-alone tools, it makes it easy to take care of all the aspects of a typical 360° optics setup (correction of decentering and unwrapping) which, if not properly addressed, can affect negatively the results of the inspection, such as OCR/OCV/barcode reading. 360LIB APP is a full GenTL compliant software. Any GenTL compliant camera device can be used with this software. Camera manufacturer drivers need anyway to be installed in order for the program to operate correctly. State-of-the-art algorithms for unwrapping and correction of decentering. 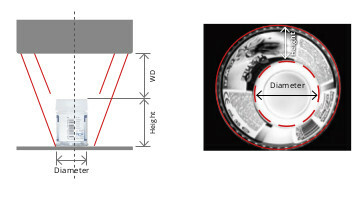 Ensure the best image for OCR/OCV/barcode reading with pericentric optics with 360° continuous view optics. 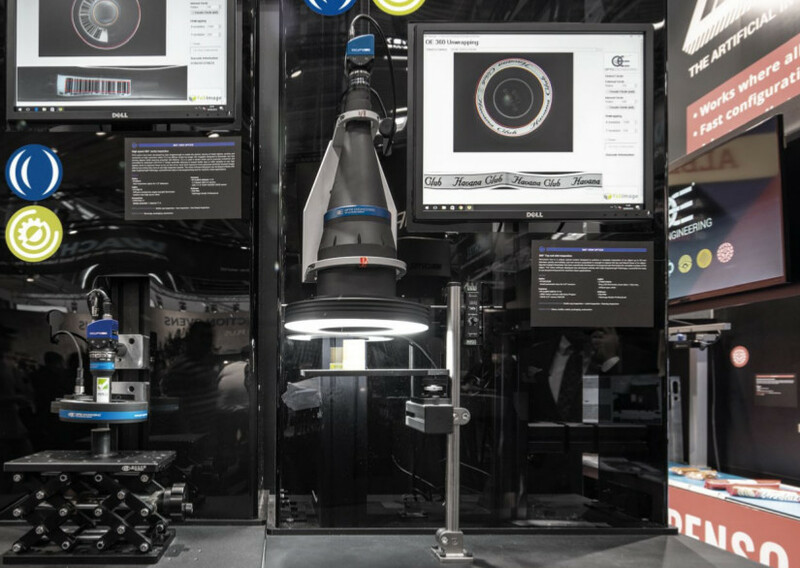 Maximize the system performances to achieve the best results results with 360° continuous view optics. A set of algorithms (library) to apply the correction map to live images and also unwrap them, outputting the rectified lateral view together with the original top view of the object (360LIB). Although specific for lenses of the Pericentric family (PC, PCCD, PCHI, PCBP), the library is open to customization dedicated to other lenses of the 360° optics family, to help you even more. Unwrapped image: a single continuous image of the lateral surface of the object is automatically generated.